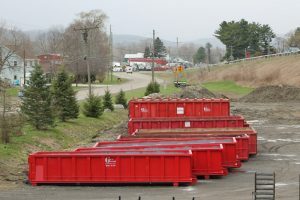 Doug Gross Construction has been in the waste removal business or over 20 years. We are committed to serving our customers in a personal and professional manner. We offer fast response to your requests and weekend service is also available. All of our trucks are GPS equipped so that we are constantly updated with their locations. This makes it that much quicker to respond to your needs by choosing the closest truck to your location if you need immediate service. We also can do recycling it is becoming a large part of our daily lives. Metals, wood and cardboard recycling not only saves space in our landfills it can also benefit you with a full reimbursement on metals and reduced rates for dumping of cardboard and wood. These opportunities can add up to substantial savings. We have the capability to service any need, whether it is a single hopper or 5 or 10. 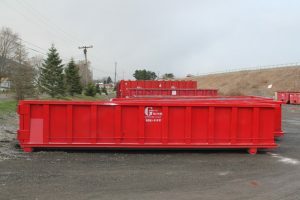 We have a large inventory of hoppers available 20yd,30yd & 40yrd rolloff cans. If you would like a quote please give us a call. We are also women owned business so if you have a project that needs WBE we could full fill it with rolloff cans.